Buck and Steve enjoy Halloween morning with a few trick-or-treating tips, tips on how to survive a zombie attack, the follow up on a ghost story from last week, a scary little doll freaks out a good friend and listener, and our real life super hero is a total dog. 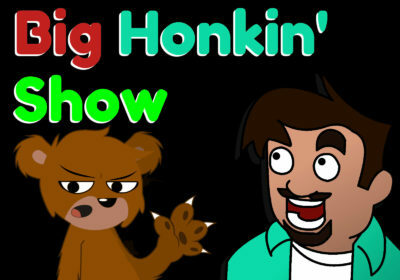 All this and more this week on the Big Honkin Show. This program is Ostrich and emu free. – “Ghostbusters” by Ray Parker Jr.